XMM is an X-ray astrophysics observatory built by the European Space Agency, and was launched in December 1999. This facility-class observatory, with an anticipated lifetime of ten years, will enable astronomers to conduct sensitive X-ray spectroscopic observations of a wide variety of cosmic sources. 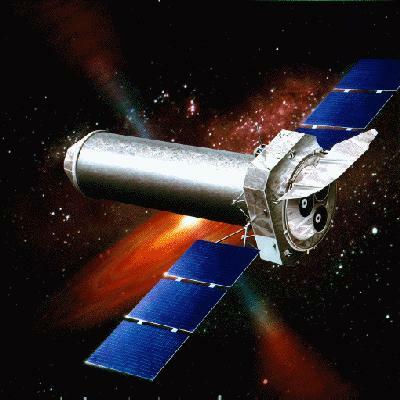 The Space Research Group is involved in development of the European Photon Imaging camera (EPIC), which is one of the three scientific instruments on XMM. Our responsibilities in this project are to be in control of the thermal design of the EPIC camera heads, design and manufacture the radiators for EPIC, and design and manufacture of a number of mechanical components. The Extragalactic group at Birmingham is actively involved in analysing XMM observations, and has produced a data analysis guide. Click here to find out more. The group also hosts an XMM homepage for schools, which can be found here.